Stop Making Sense. Talking Heads. Jonathan Demme. A documentary about a concert that destroyed all clichés, being the first film from this genre to pay particular attention to the staging and art direction. 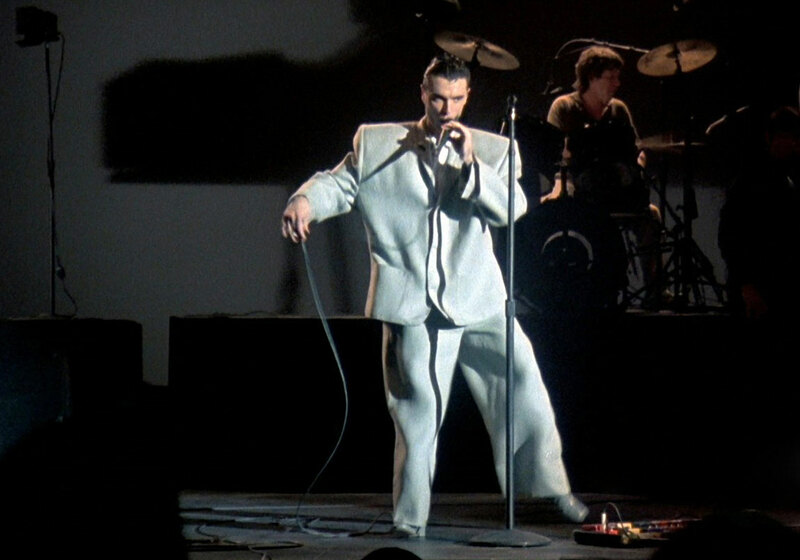 Flawless music, lighting, costumes and the aim of putting on a “full-blown show”, very much premeditated by Demme and Talking Heads themselves, former design students whose visual obsessions make up a key part of the film.